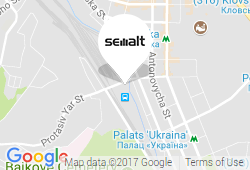 Enter your Semalt account and go to the section Rankings. Hover your mouse cursor over the section Action next to the required website and click Edit. 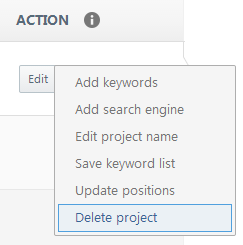 Select and click the item Delete project in the drop down menu. Once your project is deleted all the keywords you created and the history of your activity on this project will be deleted as well. There is no way for us to restore your project.